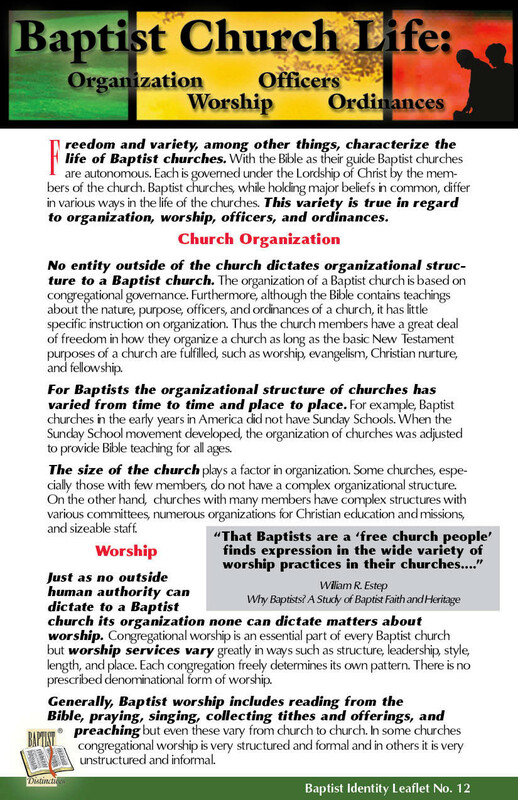 Give the Baptist Identity Series to each officer, committee member, and staff person of your organization. 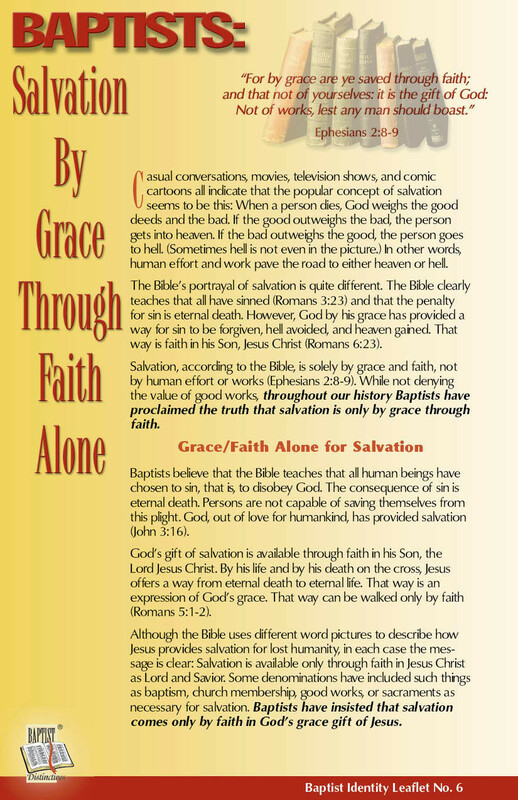 Distribute the Baptist Identity Leaflets at meetings of your organization. Utilize the Series as a resource for orientation of new staff, officers, committee members, and trustees of related institutions about Baptist history and identity. 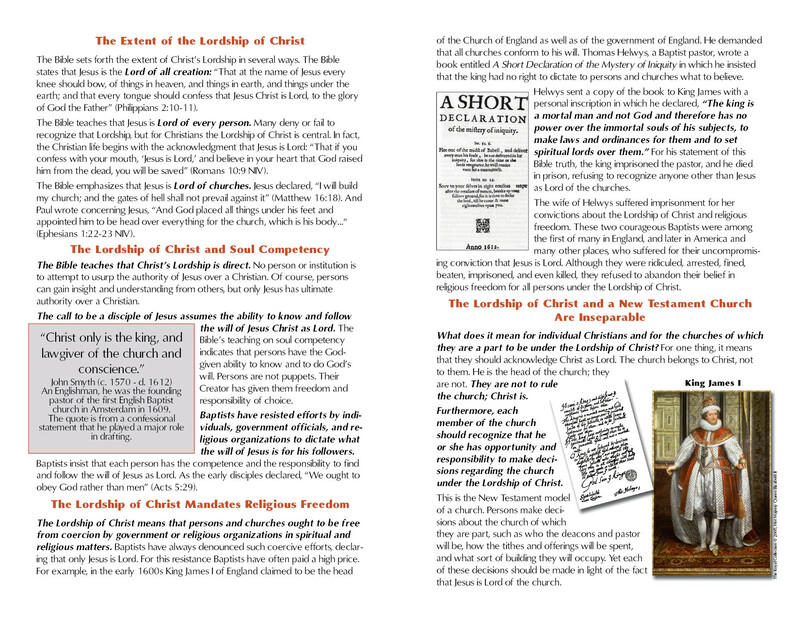 Provide a class or group study on Baptist identity for the staff of your organization and utilize the Series as a resource. 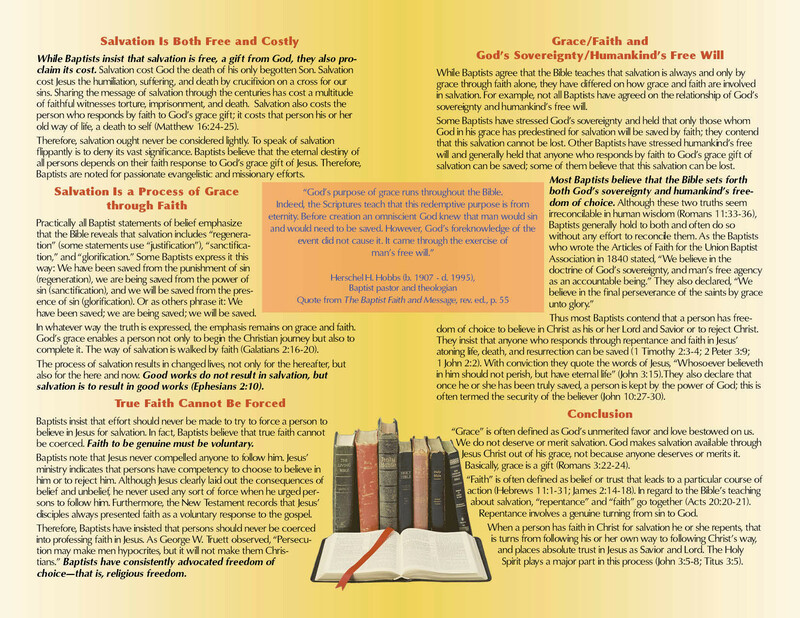 Promote the use of the Series in publications of your organization. 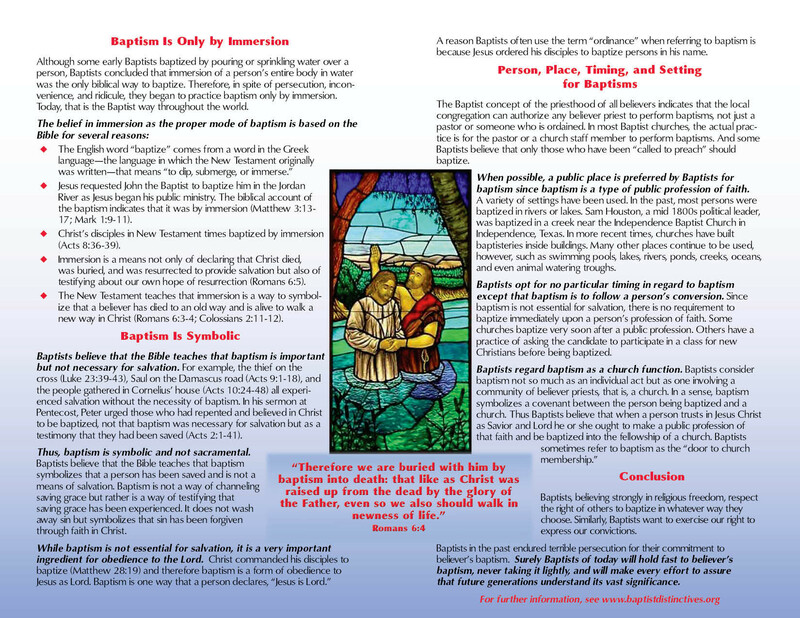 Display the Baptist Identity Leaflets and the Baptist Beliefs and Heritage book in the offices of your organization. 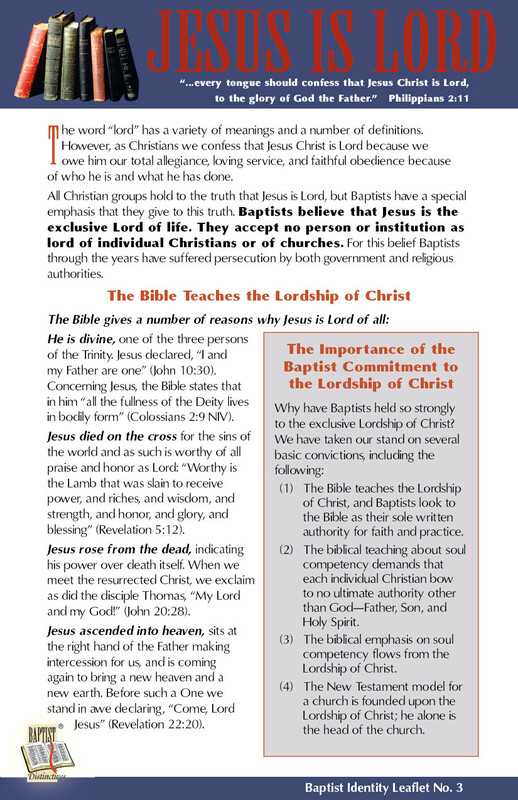 Prepare a display on Baptist identity at meetings of your organization, utilizing the Series in the display and encouraging persons to take copies of the Baptist Identity Leaflets. 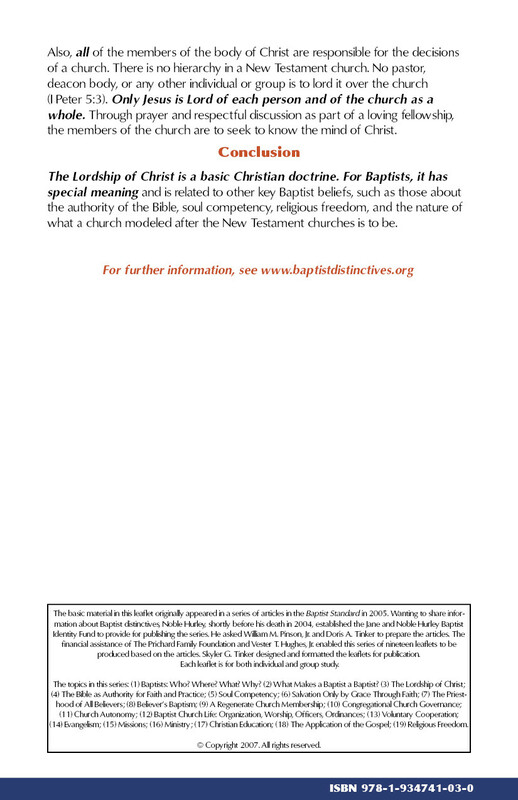 Provide the Baptist Beliefs and Heritage book, the Personal Study Guides book, and a packet of the Baptist Identity Leaflets for each trustee and administrator of entities related to your organization. 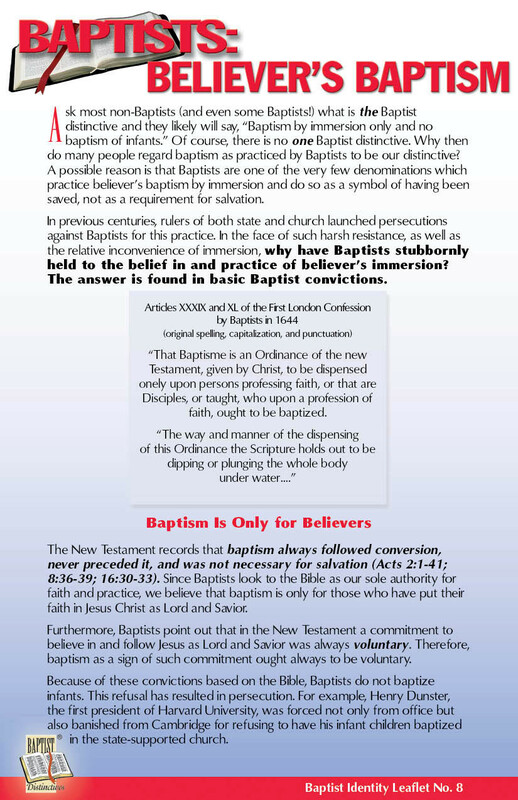 Promote the use of the Baptist Identity Series in churches, institutions, and other Baptist organizations. 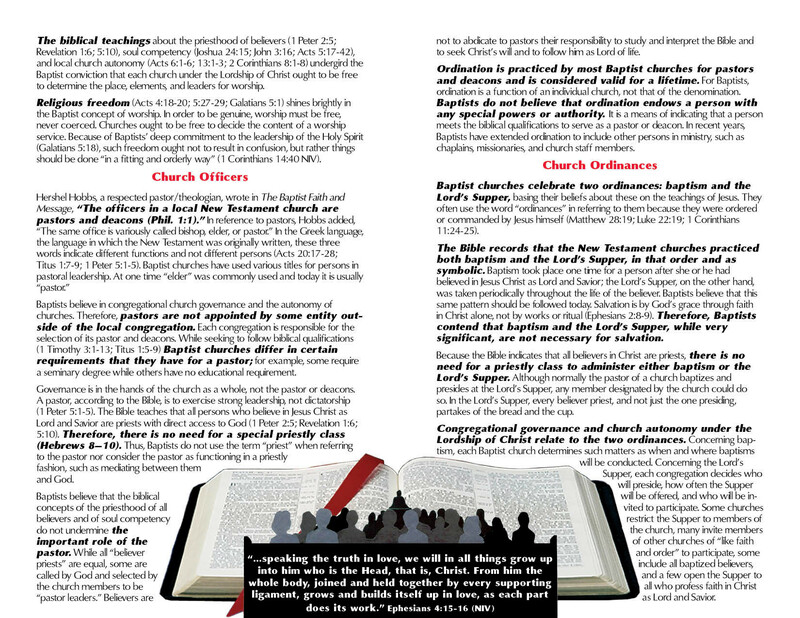 Encourage officers, staff, trustees, committee members, and others who are part of the function of your organization to utilize the Series in the church of which they are a member. 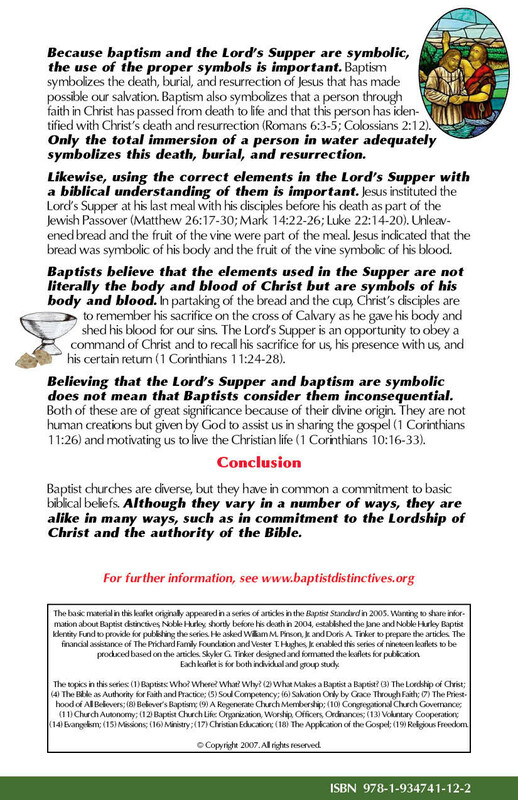 Publicize the website www.baptistdistinctives.org and encourage its use.